WhatsApp Group Chat – Is Counselling Candidates on improving their Job Hunt Strategy a Recruiters Role? The Talent Acquisition profession is evolving rapidly due to the Digital Marketing Age. We are slowly moving from performing full cycle Recruitment processes alone to Employee & Employer Branding as well. Given this scenario it’s obvious to question what aspects are involved in a Recruitment Professionals Role. Networking is another name of Recruiting and while networking we also advice our network for the different opportunities, process, career growth etc. 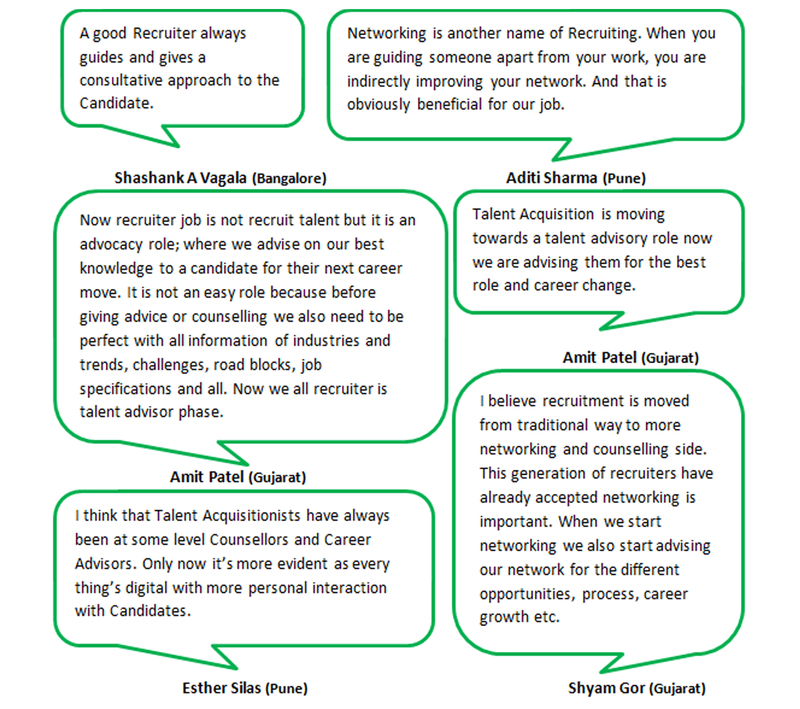 Recruiters now step into an advocacy role but after gather information about industries and trends, challenges, road blocks, job specifications etc. If you’ve enjoyed this and found it enlightening then you’d enjoy it more once you’re a part of such discussions by joining in. 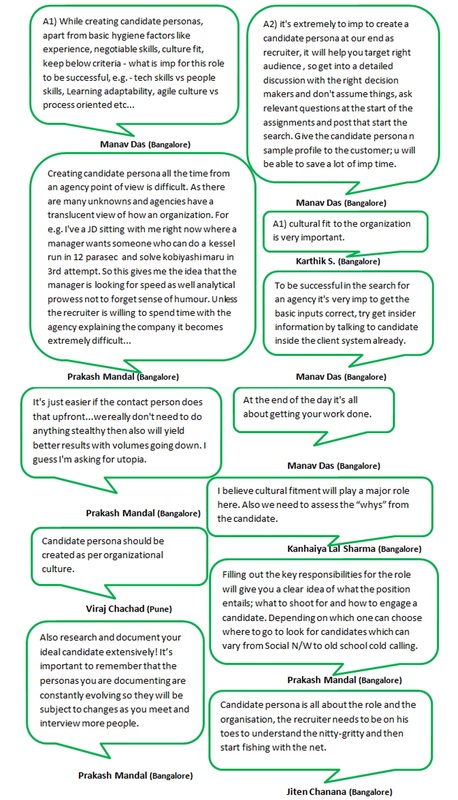 If you’d wish to join the Talent Acquisition community of Sourcing ADDA (@SourcingAdda) and its WhatsApp groups be sure to leave your views or request’s in the comments section. Appraisals are common knowledge to Talent Acquisitionists and the similar fields in the Recruitment Sphere. We’ve all had our appraisals for the present year. Ever wondered what happens during the appraisals and when the performers are rewarded for their hard work via promotions and what processes are followed by organisations? Promotion plan is also called succession plan, meaning to recruit, train and up skill existing employees. Promotions take place for 2 reasons; one is to encourage talent and the other is to retain talent. Promotions are a combination of performance, potential and attitude. E.g. A person might have had a great year in terms of performance, but may not have the potential to take up a larger role thus he will not get a promotion. But we need to ensure that we don’t lose out on Talent with the right calibre. What is the long term business goal of the company? Focus on what the individual contributes to the overall team’s success is very important than just individual growth. A time bound promotion with preference given to performance management or appraisal process application. If at a middle level it should be more in line with the roles performed and challenges met in the respective roles which can lead to organisational change. At a higher level it should focus more on succession planning. Well there you have it all the information you’ll need to help you make an informed decision. Use this information to streamline the procedure while formulating a promotion plan that your organisation will benefit from by promoting the deserved candidate. If you’ve found this information helpful then you’ll probably find our other Wednesday discussions and events quite enlightening and informative. So why wait to read when you can join in and get first – hand information by being a part of these discussions and get your queries resolved instantly? Be sure to follow us @SourcingAdda to get updates to our upcoming events and activities and don’t forget to leave your views in the comments section. Creating Personas is a game that we’ve all played during our childhood and enjoyed it and we’re quite good at it. If we’re being completely honest when we’re creating JDs it requires creativity and skill that needs to be acquired if you don’t have it already. Don’t you agree? What aspects should be considered when Creating Candidate Personas? How important is Creating Candidate Personas before starting a search? Give the candidate persona and a sample profile to the customer to save time and gain a clear understanding of what is required. Well there you have it all the information you’d require when creating a candidate persona and why it’s important to create the persona before Sourcing for Talent with the desired calibre. If you’ve found this information relevant and if your queries about the topic at hand have been resolved then be sure to leave your views in the comments section. If you’d like to know more and be updated with the current trends followed in the Talent Acquisition sphere then join the WhatsApp discussions and to add to your knowledge be sure to follow us @SourcingAdda. Digitalisation has paved the way to building new connections and maintaining distant relations; be it professional, family or otherwise; it’s possible in a digital world such as the one we live in. There has been a long standing debate revolving around the importance of Mobile Recruiting and we’d like to get different perspectives about it as well. 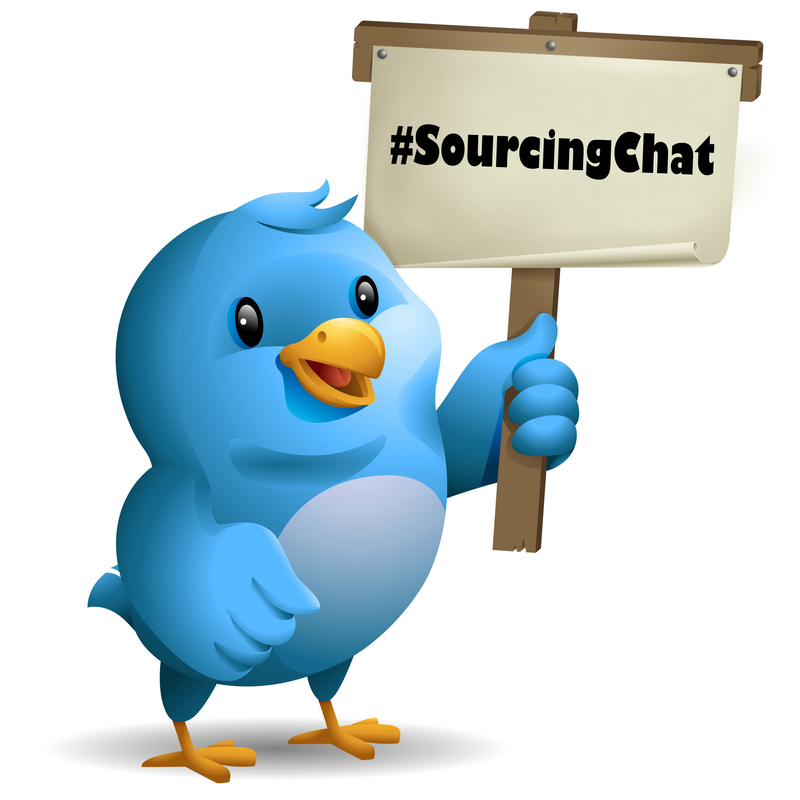 Well there you have it the Top Tweets of the #SourcingChat, so don’t forget to leave your views in our comments section. If you’ve read this far then we’re sure you found what you’re looking for. To get real time updates to our upcoming activities and events be sure to follow us @SourcingAdda.